Blue Ribbon Sushi Bar and Grill at the Cosmopolitan is the Vegas version of the famed East Coast locations. 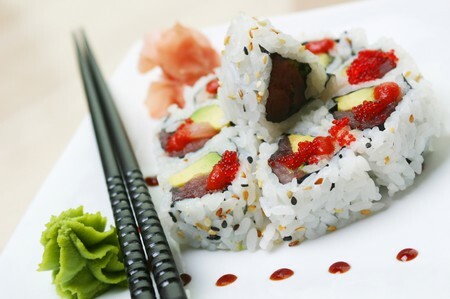 Offering an eclectic variety of sushi and Japanese influenced cuisine, Blue Ribbon Sushi Bar and Grill is open seven days a week for dinner and late night dining only. The expansive menu includes a vast selection of sushi, sashimi, and sunomono from Hamachi to Unagi, as well as various Atlantic and Pacific Ocean fish. Aside from the seafood options, Blue Ribbon Sushi Bar and Grill features Wagyu beef entrees like the Waygu Filet, in addition to poultry, chops, and steak options.